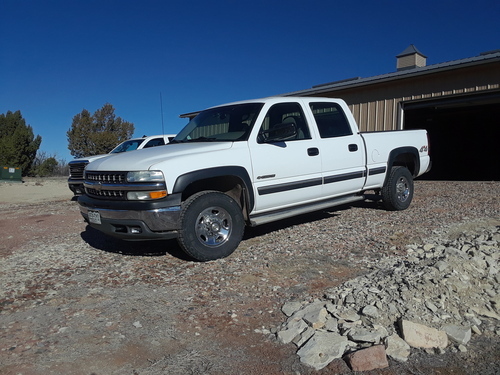 2002 CHEVROLET - Silverado 1500HD LS 8-cyl. 6.0 4WD. 180,000, Great cond. $7,900. FORD - Ranger. 1985 White, Pick-up. 5-spd. 6-cyl. 4 WD. app. 130, Power steering, AM/FM, stereo, low miles, Fair cond. $1,000.00 OBO.